Update: Click here for the resources and presentation slides used! Following some inspiration from Mr Parkinson (again), I decided to plan a unit of work around the game Temple run. Our topic for the term is Survival, so this fitted in nicely. I found using a game such as this, made the world of difference to the pupils: both on engagement and achievement. Tapping into the pupil’s popular culture is fundamental and this example highlighted this clearly. We started off submerging the pupils in the app. 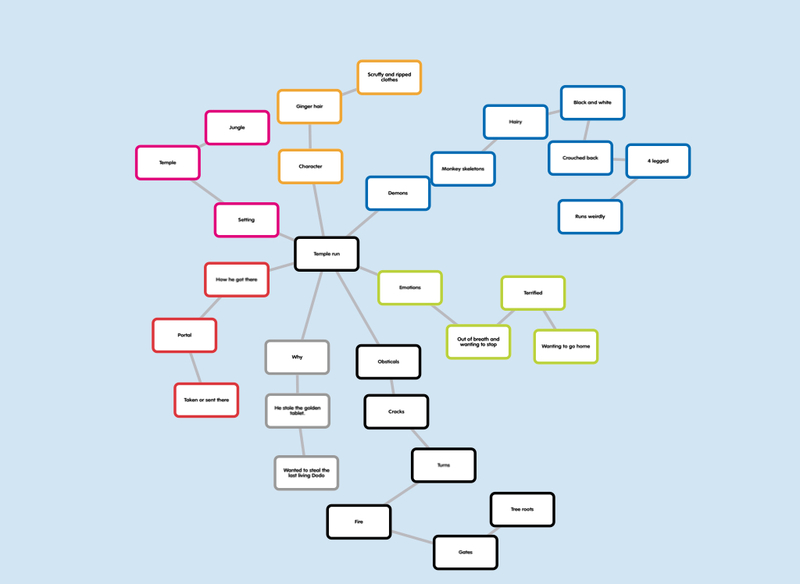 I allowed them to play the game (and did throughout to engage and refresh) and then asked them to produce a mindmap on the topic. For this, I used a great app called Popplet. In an essence, this is an online version of spider diagrams: it’s great for linking and gathering ideas. The next lesson was on a Show not Tell lesson, i.e. SNOT. 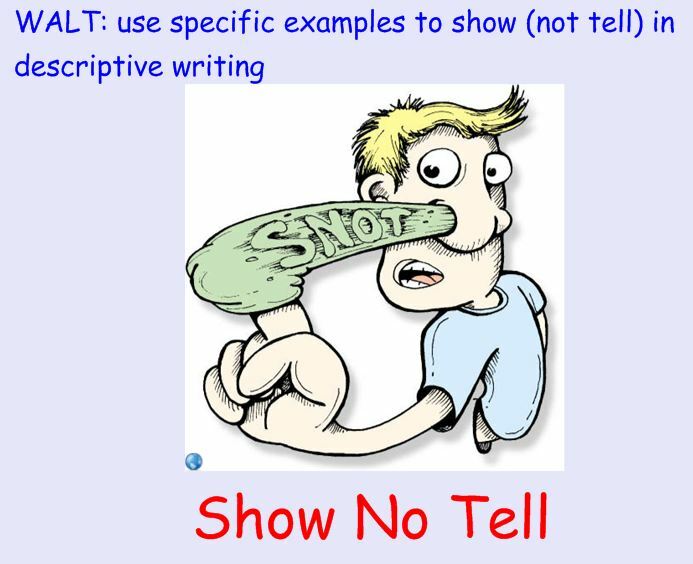 This was to develop children to extend their descriptions by implying and showing actions. For example rather than saying the character was nervous, we would show that he was sweating or trembling, etc. A great resource for emotion prompt sheets can be found here. The next session was on character descriptions. For this we tied in Indiana Jones as our character, a good link to temple run. We looked at four key areas, focusing on movement, appearance, feelings and speech to improve our descriptions. These reflect only a handful of the amazing work produced by the pupils. It was extremely evident that using Temple Run as a stimulus had an amazing effect. May lollipop sticks with your c lass’ names be a thing off the past (not extinct mind you, as technology can never be 100% reliable). 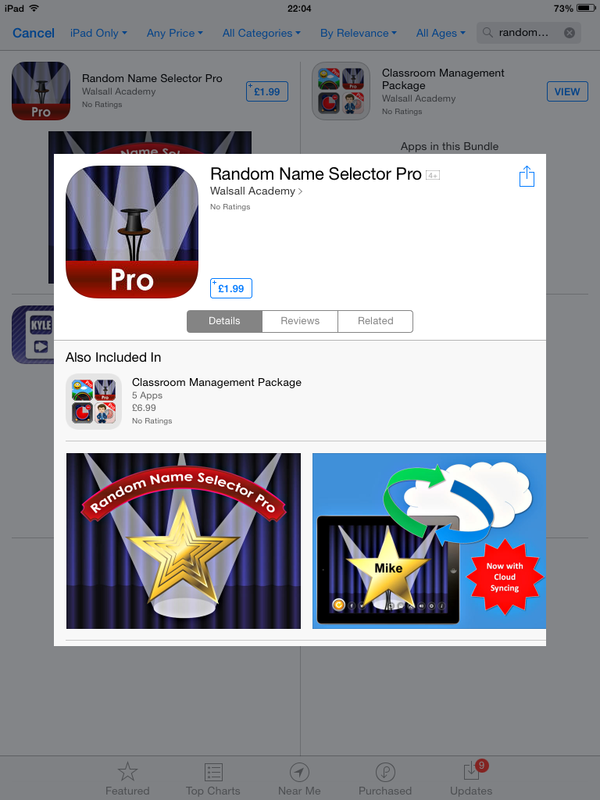 However, the app replacement is an excellent tool to spark a little more engagement in the classroom. The exciting nature (and our guilty pleasure of the theme music) make the children want their name to pop up, who’d of thought! You can create more than one group or class and add as many students as you wish to the classes. The App randomly selects a pupil from the group, with all names being displayed before a name is displayed for a second time (the pupils don’t need to know this) However, if you do have that ‘relaxed ‘(lazy) pupil you can change the settings so each name can be displayed up to three times, so the pupils never know when they may be called upon again! This once free app, now can be purchased for £1.99 through the app store.